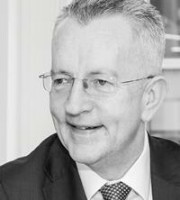 Chris McLeod is a chartered trademark attorney and an authorised representative at the EU Intellectual Property Office, with more than 30 years’ experience in the field of trademarks, designs and copyright. He leads the trademark practice at Elkington and Fife LLP. He has been active in the Chartered Institute of Trademark Attorneys (CITMA) for more than 15 years, serving as its president from 2014 to 2016. As a past president of CITMA, he is still on its executive committee and continues to serve on its council – the board of directors. He is also an active member of the International Trademark Association and the Pharmaceutical Trademarks Group. He has extensive experience managing large trademark and registered design portfolios in many sectors, including fashion, sports, human and animal healthcare, publishing, food and beverages, and has represented numerous charity clients on a pro bono basis. Mr McLeod is a regular conference chair, speaker and lecturer on IP issues. He is a frequent commentator in the mainstream and IP press, on radio and on TV, on trademarks and related matters. He has appeared on BBC 2, Channel 4, Radio 1, Radio 4 and Radio 5 Live and in The Guardian, The Times and The Daily Telegraph.